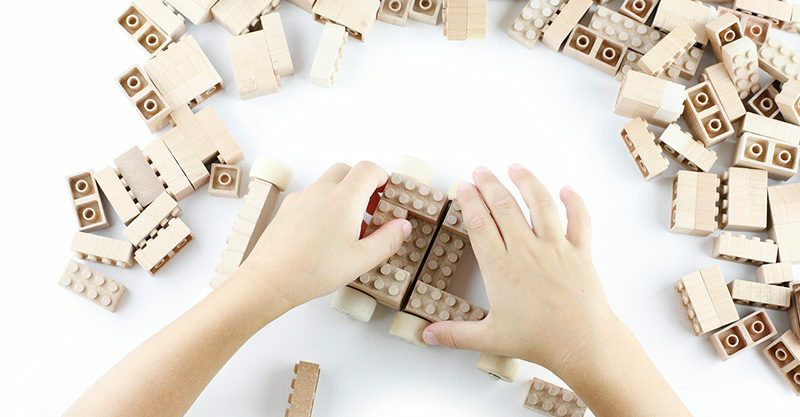 5 boredom busting DIY kits from Treehouse Kid & Craft! We might have only just shuffled the kids back to school, but the occasional (or not so occasional) I’m bored can still be heard. We’ve gathered a handful of boredom busting DIY kits, brilliant to have tucked in your entertainment arsenal for days when it’s just too hot to head outside. Older children will love turning their attention to needle and thread to produce a charming felt critter. The Kiriki DIY embroidery kit is packed with all you need (excluding a small hoop) to get busy sewing. 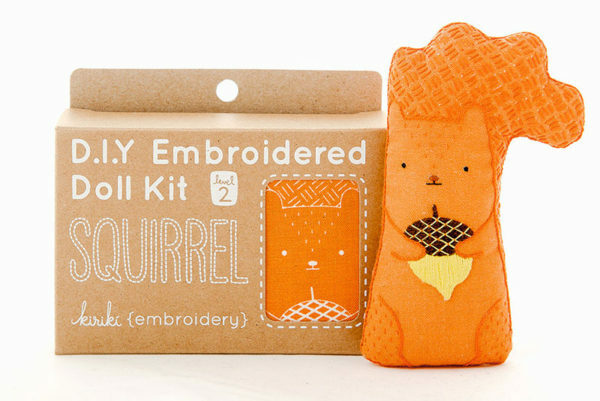 Choose from an owl, cat or this dashing squirrel kit, all priced just US$9. 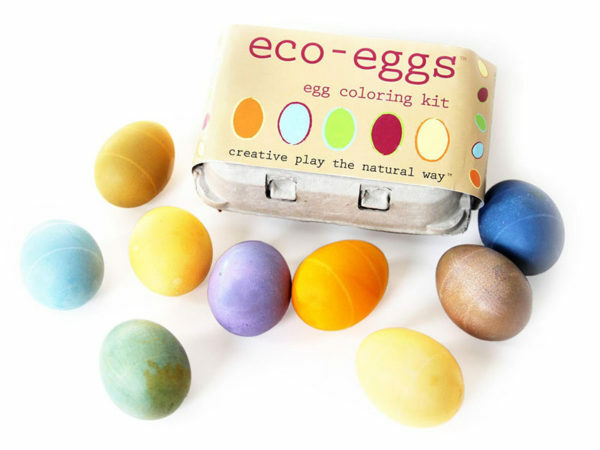 Get a jump on creating cute decorations in time for Easter, the Eco Eggs Colouring Kit, US$11, is just the ticket for safely dying eggs. Use a pin to poke a small hole in each end of the egg, gently blow out the egg inside and dye the shells. A gorgeous addition to an Easter basket, Easter Bunny will be impressed. Put your own personal stamp on your t-shirt, literally, with the T-shirt Printing Workshop DIY Kit, priced US$22.50. 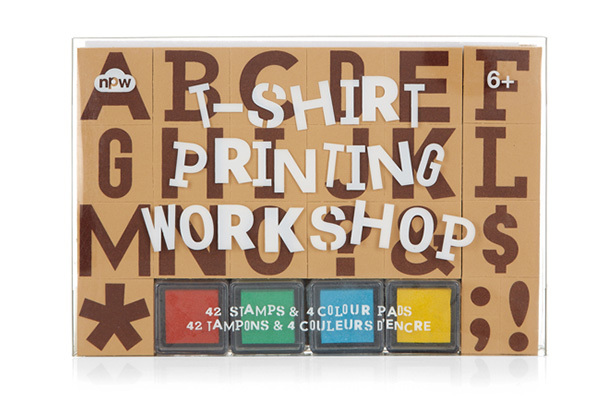 A kit containing alphabet, number and punctuation stamps, plus coloured ink pads, will turn any plain tee into a fun, printed slogan one! Kids seemingly never tire of building. 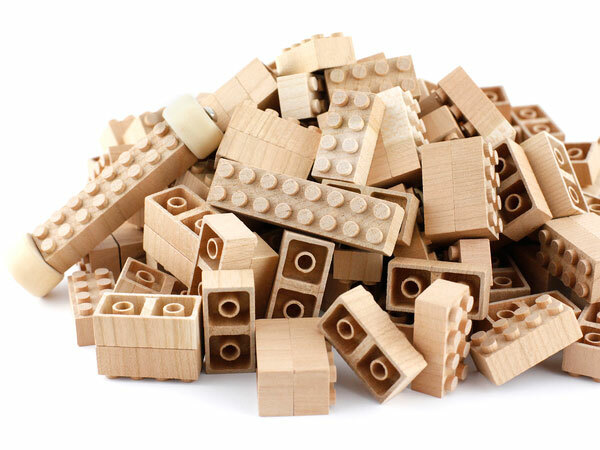 Spend many an afternoon creating all things great and small with brilliant interlocking Eco Bricks. Made from cherry wood, kids can take their building a step further by painting their creations for display. Awesome! Priced from US$15 for a box of 24 bricks. If getting the kids off the electronic games to dabble in some DIY is proving a struggle, tell them they have to build their game first. 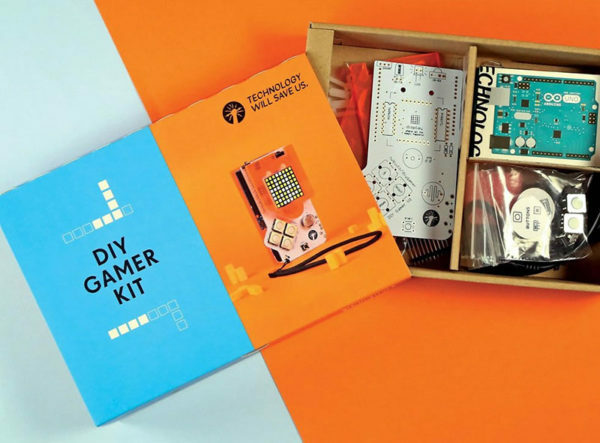 The DIY Gamer Kit, US$130, is the ultimate boredom buster kit – kids can even download games and get busy coding when they’ve finished the build. All DIY kits are available from Treehouse Kid & Craft.